Product Marketing Manager for .NET Platform and Languages (C#, F#, VB). Long-time community champion. .NET Foundation board member. What’s tricky in Visual Studio 2010 is that there are now two supported versions of the CLR. I’ve written about collection initializers on my blog before, but I thought I’d catch up with the VB Team to tell me more about how they really work. In this interview Spotty Bowles, a tester on the VB Compiler team, shows us a couple of new language features: Array and Collection Initializers. Today we revamped some of the Visual Basic Developer Center Learn pages with more content that allows you to pivot on more fine-grained topics and tasks related to Visual Basic programming. We’ve started with the Introductory Topics and Language Syntax pages. Ever wonder how we build Visual Studio and the .NET Framework? I mean literally. You know, the build process that spits out a product at the other end? Well I sure did and it’s not just hitting F5 people ;-). Beth Massi shot a couple of great episodes last month on dnrTV! If you are interested in learning more about the Open XML SDK, and how to easily access it using VB.NET XML Literals, be sure to check them out. I just posted a new Channel 9 interview. 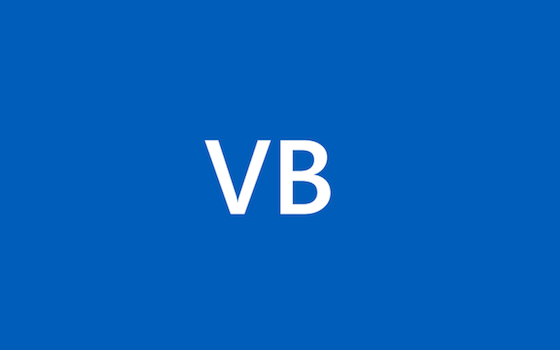 This time it’s with Tyler Whitney, a developer on the Visual Basic compiler team. Here he demonstrates how line termination has changed in the Visual Basic 10 compiler making underscores unnecessary as line continuation indicators. Today I posted a new interview on Channel 9 on using the Touchless SDK.